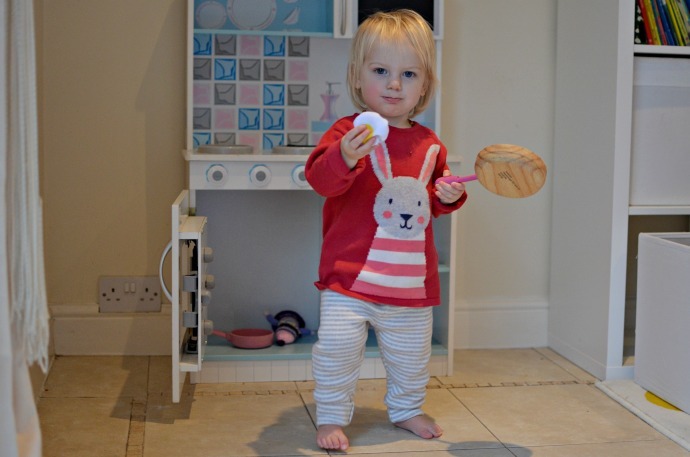 Cora is finally heading into the next size clothing and it has given me a new reason to shop. I love buying pretty things for her and I have a few brands that I always go back to. I recently discovered a new one though, thanks to the lovely Rebecca at Growing Needs. Kite make organic kids clothing for newborns to eleven years old and their designs are fun, comfortable and bright. 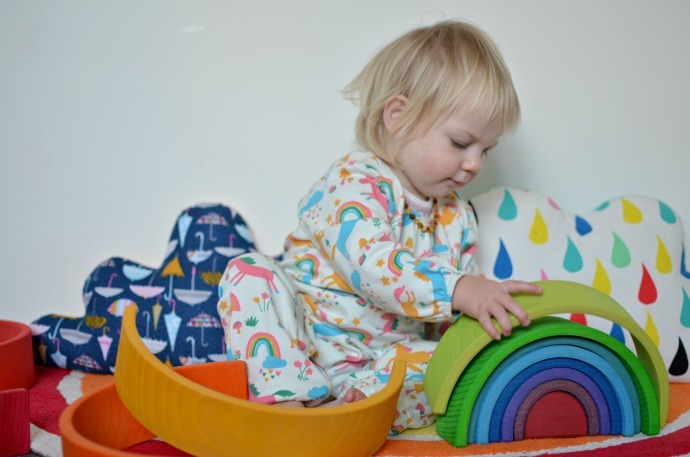 From soft knits to the best designed rompers and an amazing rainbow cardigan, their clothes are brilliant for this mini toddler of mine. 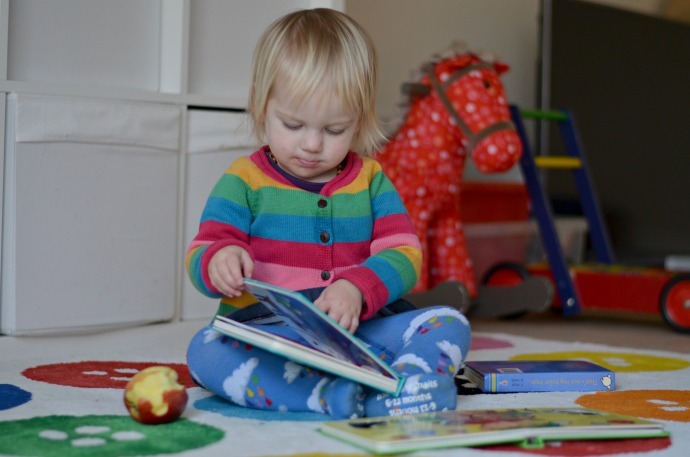 I love babies and toddlers in dungarees and the look like the comfiest thing to wear. 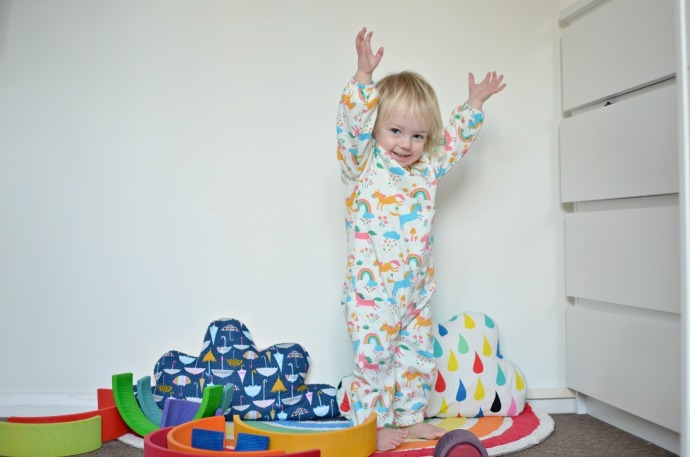 The Kite designs are fun and bright and have poppers for easy changing and they are stretchy enough for all her climbing and squatting. I can't wait to see what designs they have next season as they will be first on my list to check out. I can't resist rainbow clothes and this cardigan is amazing! 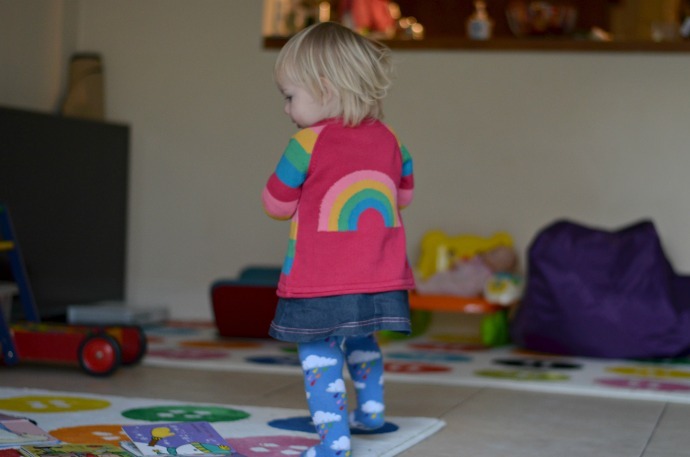 With rainbow stripes on the front and a rainbow on the back, it goes with so much of Cora's wardrobe and it feels thick and warm. (she loves to carry apples around the house). One of my favourite pieces from this collection is their rompers. I will be honest, I saw them online initially and dismissed them but after holding one in my hands I am sold. This is thicker than a sleepsuit and perfect for my little girl who feels the cold. The cuffed legs and arms mean it can be worn even when it is a bit too big and the poppers make changing easy. The neck is cuffed in the same way as the arms, meaning it slips over their heads easily and can be pulled off downwards if they have an accident. 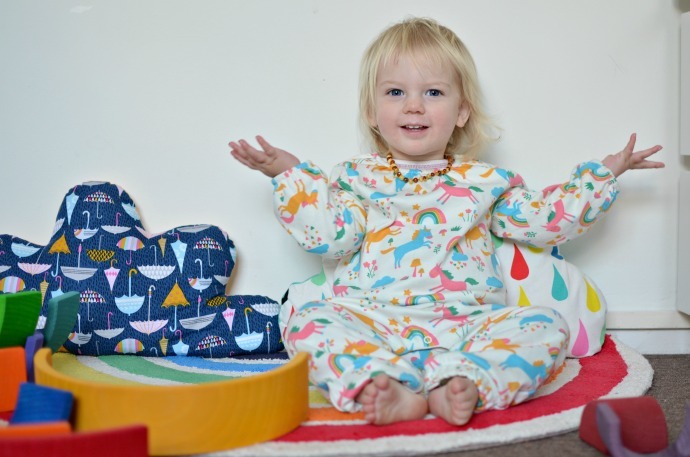 The whole design is perfect is perfect for busy babies and toddlers and the prints are adorable. 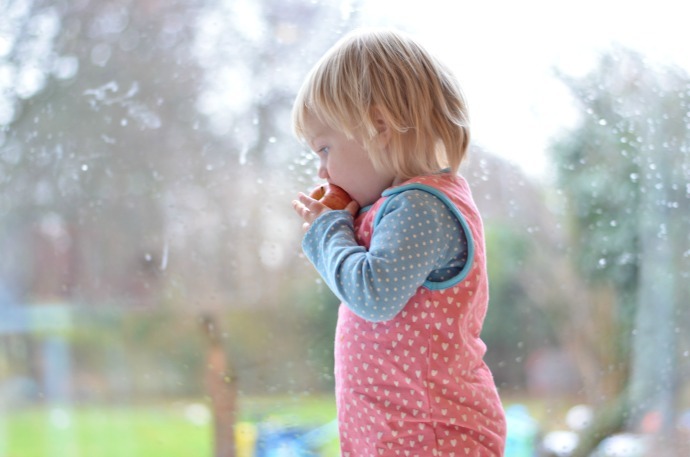 With this windy, wet weather we have spent more time inside than usual and cosy clothes have been a must. This two part knitted set is so easy to put on and the leggings look warmer than any others she owns. 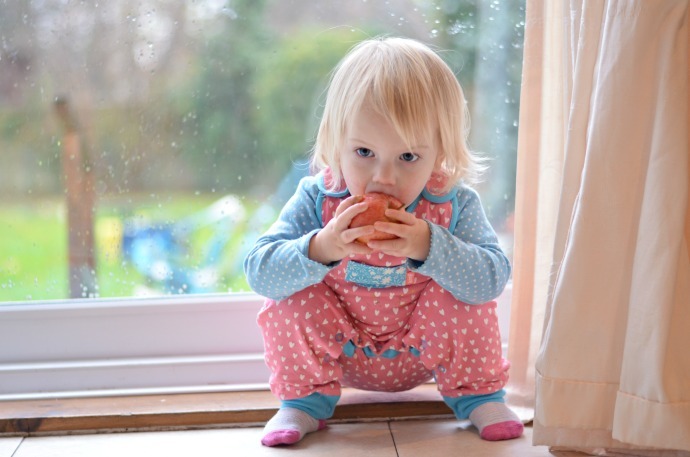 The leggings are a grey and white stripe and have plenty of growing space on my petite child.